Responding to recent speculation that Panasonic is moving away from Micro Four Thirds, Lumix's UK Marketing Manager has pledged the company's commitment to the smaller format, despite its recent announcement of two new full-frame cameras. Speaking to Photogearnews, Barnaby Sykes from Panasonic explicitly said that the company "will never give up on Micro Four Thirds," suggesting that, having introduced the world's first mirrorless camera ten years ago — the Lumix G1 — the format is still a huge part of its business. 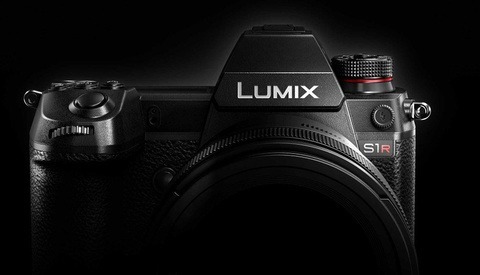 Speculation was rising following the announcement by Panasonic at Photokina of two new full-frame mirrorless cameras: the Lumix S1 and the Lumix S1R. The final specifications are yet to be confirmed, and both will be released in 2019. Reviewing the announcements a few weeks ago, YouTuber Tony Northrup predicted that Panasonic will soon abandon their line of MFT cameras, as developing two different technologies side-by-side would be too demanding and committing to one system would be a smarter choice. By contrast, Panasonic is demonstrating its commitment to continue pushing the benefits of MFT, as seen in the announcement of a new lens: the 10-25mm f/1.7 (the 35mm equivalent of a 20-50mm f/3.4). Many will look forward to Panasonic revealing more details about their two new full-frame cameras. Both will offer 4K, but it remains to be seen what crop factor will be applied when shooting at 60p, one of the main points of comparison with recent launches by Canon and Nikon. Panasonic was proud to mention the dual card slots in their new cameras, XQD and SD. It's thought that with the space available inside the bodies of the Z6 and Z7, Nikon had the choice between a single XQD and dual SD, opting for the newer technology at the price of data redundancy. Panasonic, by contrast, has proven that it's possible to squeeze in one of each. According to Panasonic, they'll "never" abandon MFT. But show me where Nikon announced they were abandoning the 1 series. Show me where Samsung announced they were abandoning NX, or Sony the A-mount. 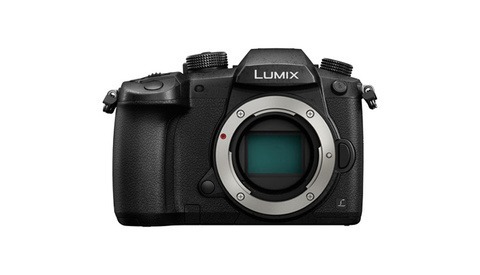 Or, Panasonic the Four-thirds mount. They never tell us; they just gradually release fewer products until they completely ghost us. ...and software companies, like autodesk did with edit back in the 90s and combustion in the 2000s. That 'never' word has to be taken with a bucket of salt and a pinch of discernment. Ayup! Never is a very, very long time. I'd say it's as likely to happen as Canon abandoning EF-mount, and less likely than Canon abandoning EF-S and M. Yet, no one seems to be predicting Canon will drop one of its three other lines after adding EOS-R.
FWIW I've predicted the death of EF-M for some time. Of course, EF is going away. I suspect most stills photographers currently using MFT will make their way to full-frame eventually. But I also think Panny could repurpose their MFT platform to become a significant industry player by pivoting toward the entry-level cinema market. They could focus on creating video-centric models like the GH5s, and even more cinema-centric models using cinemascope MFT (19mm x 10mm) sensors to compete with Blackmagic. They could even aim a little higher by releasing a 3-chip cinemascope MFT camera to replace the super35 EVA1. They wouldn’t be cannibalizing their potential sales of full-frame systems by firmly shifting the focus of MFT towards video and cinema for motion-picture content creators. If anything, it just opens new markets for them. Saying most MFT shooters will move to FF feels the same as saying most FF shooters will eventually move to medium format. I'm a stills photographer and don't currently have any ambitions to switch to FF, and I suspect I am not in the minority. MFT is a solid and mature system. I think its success is a combination of the system's travel-friendliness, price point, and continued innovation and features offered by Olympus and Panasonic. I don’t think that’s realistic comparison. The crop medium format (44mm x 33mm) is only 1.7 times larger than full-frame, whereas full-frame is more than 3 times larger than micro four thirds. You won’t see much improvement in DR, sharpness, light sensitivity, color accuracy, and so on by going from a prosumer full-frame to a crop medium format (the current models anyway), but you’ll easily see the improvement in those categories by making the jump from flagship MFT to prosumer full-frame. Travel friendliness of MFT is still a strong point in its favor with the lenses weighing half of their full-frame equivalents. But the bodies of FF mirrorless are now on par with many MFT bodies, and the price position of new full-frame cameras is becoming more and more aggressive - now just starting at 20-25% more than the flagship MFT models. Light sensitivity, minimal DOF, and pixel count: these things are fundamentally going to be less limited with larger sensor size, but that's it. Things like DR, color, and sharpness are not linked to sensor size. The Olympus E-M1 mkII has greater dynamic range than the Canon 6DII, according to DxO, and is quite close in color depth as well. 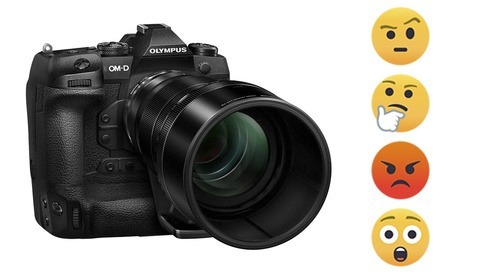 Both of these cameras retailed for around $2K (the Oly is a bit older). And, really this is nitpicking. 12.8 sEV of DR is plenty to play with when high quality prints and digital displays tend to top around 10 sEV (best case from what I've read). Yes, you can find cameras with more DR (for more $$$), but will the average user utilize that? Just saying, these cameras are already capable of capturing gorgeous photos, so many won't see the need for something bigger. Additionally, regardless of the compactness of FF mirrorless bodies, the lenses, on average, will always be significantly larger for FF versus MFT. It adds up quickly when you want to bring 3-4 lenses with you on a trip. 10-25mm f/1.7 (the 35mm equivalent of a 20-50mm f/3.4) ?????? Why would max aperture change in the 35mm conversion? While I don't think that Panasonic will continue to develop products for MFT as much as they have been, I personally think that MFT will continue to survive due to the fact that its size makes it good for a lot of uses that involve compact or lightweight cameras and lenses (such as drones) so Panasonic will likely continue to release at least a few products for it as long as it sticks around.